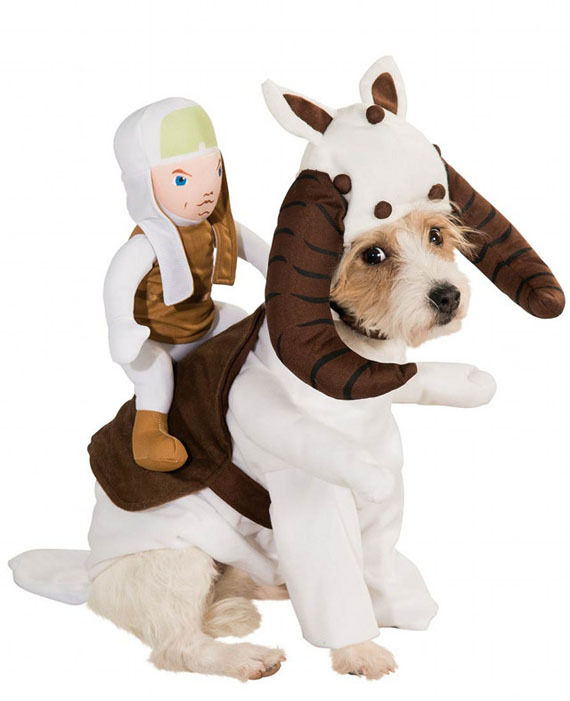 Costume Craze brings us this collection of Star Wars Dog Costumes. 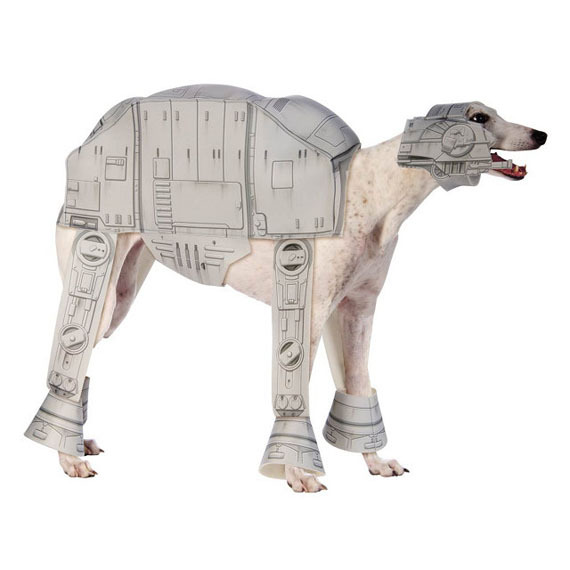 Now you can transform your dog into a Bantha, Dewback, Tauntaun and AT-AT. 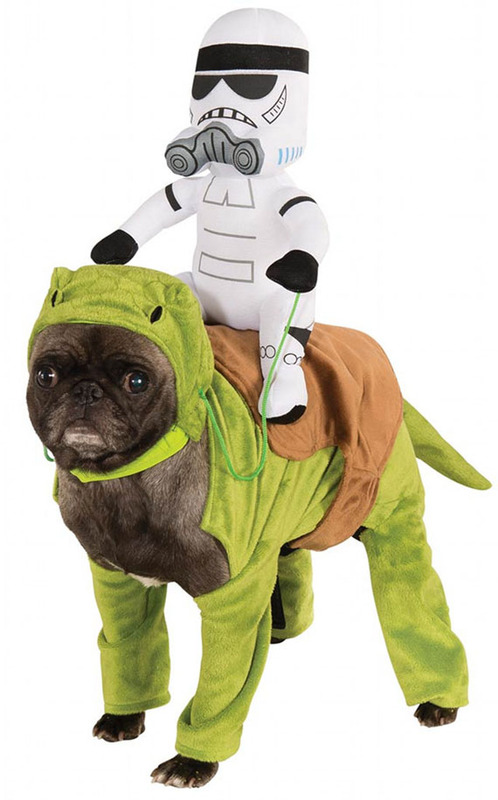 That’s cool and all, but I’d much rather transform my dogs into beings who are going to pay rent on time and clean up after themselves. These freeloaders just sleep, eat, fart in their sleep, and sleep. 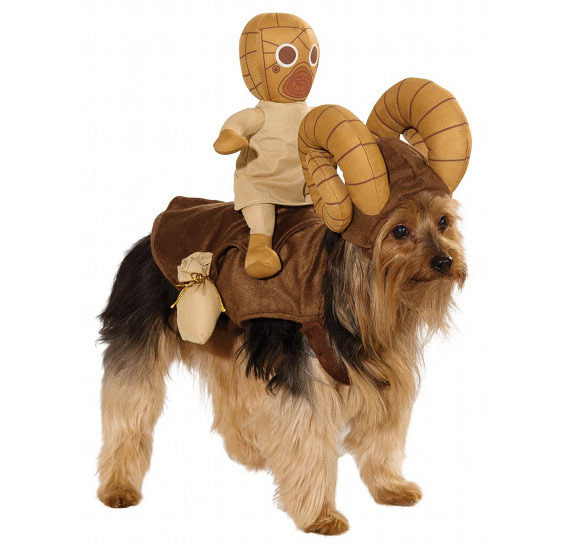 Or as I like to call it: living the dream.